NBA – The Miami Heat host the visiting Cleveland Cavaliers in their season match finale at the Americans Airlines Arena in Downtown, Miami. Both teams are fighting for playoff positioning, especially the Miami Heat that is currently at 8th spot and looking forward to return back in the post season? Prior to the game the Heat are in 2 – game losing skid and currently the 8th seeded team in the East with 39 wins and 35 loss just a game behind to the Milwaukee Bucks, While the Cavaliers are in 5 – game winning streak and currently 3rd in the East Standings with 44 wins and 29 losses. The Heat are in a must win situation in tonight’s game to solidify the 8th spot or even a potential tie with the Bucks depending on the outcome of the Bucks game tonight? In the game, The Heat is in much control of the 1st half, they outscored the Cavaliers in the 1st quarter 29 -18 and in the 2nd quarter 25 -16 to end the half leading by 20 points, 54 – 34. Heat also handed Cavaliers lowest points scored on the 1st half this season. James Johnson, Kelly Olynyk and Dwane Wade score 11 points, 10 points and 8 points respectively to lead the Heat strong 1st half while LeBron James drops 13 points for the Cavs. In the 3rd quarter Cavs forward Kevin Love was ruled out of the game due to injury suffered earlier in the game, the announcement adds more problem to the Cavaliers who is trying to find a way to make a comeback in the 2nd half of the game? Despite of it the defending East Champion shows some sign of a mini comeback after outscoring the Heat 25 – 21 in the quarter to find them just down by 16 points, 75 – 59. 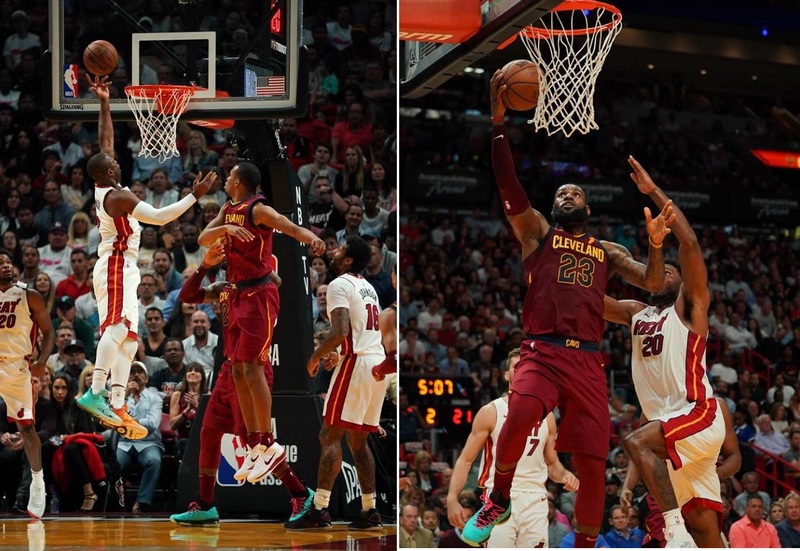 In the 4th quarter, Cavs cut the lead into 11 points the closest they come but the Heat was too much tonight as the Cavaliers falls down in their final match of the season against the Heat 98 – 79. Meanwhile, LeBron James, who is playing sensational basketball in this past 2 months was off in tonight’s game with 18 points, 6 rebounds and 7 assist. No Comment to " Heat Stops Cavs 5 – Game Winning Streak "